I also attended two sessions by my perennial favourite Nancy White. These are always the most engaging sessions I get at the conference. In both sessions Nancy made you do stuff. This is not class participation, I mean you are going to do something. The best was the second on making the invisible – visible. I really liked the quote – if CO2 was dark red and hung in the air – we’d have it cured by now. 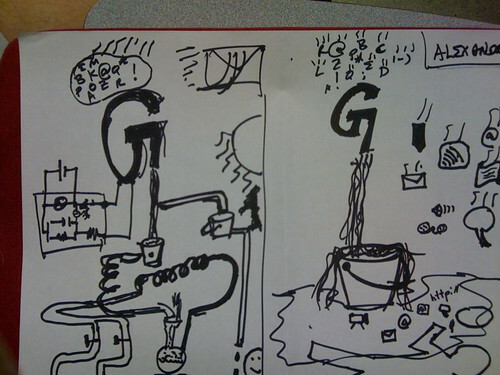 We were sent out on a drawing/video/picture exercise about something else at the conference or surroundings. 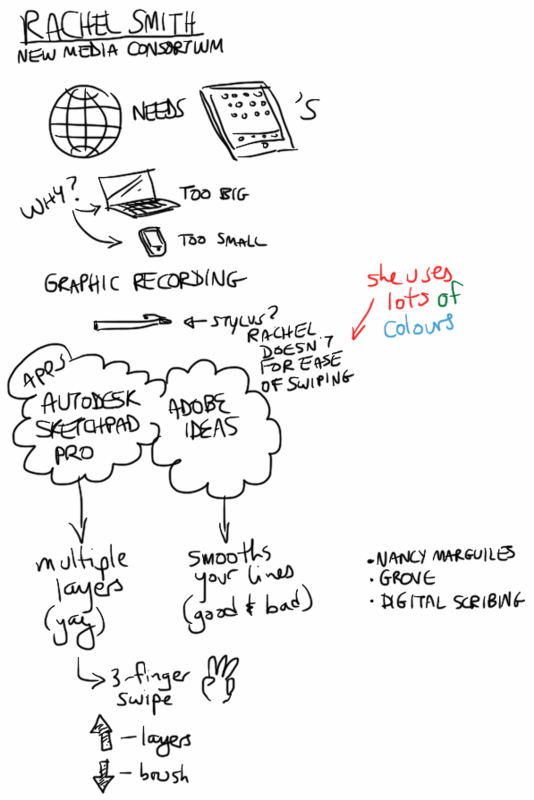 I sat in an another session and attempted to grasp the presentation there in a graphic form. And that is even for people like me that can’t draw. And thanks for the kind words – I’m glad you liked my session!